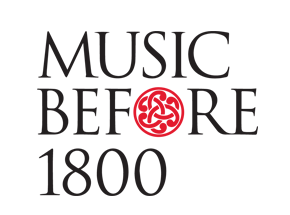 There will be a reception in the lobby of the Kosciuszko Foundation featuring complimentary wine from France, in honor of Rameau, the concert’s featured composer. The three “crème de la crème” early music performers present all five of Jean-Philippe Rameau’s Pièces de clavecin en concerts of 1741, replete with virtuosic obbligato keyboard parts and equally acrobatic violin and viola da gamba accompaniment. A summation of late French baroque writing, the fanciful movements delight the ear with their vivid drama and sensuality. 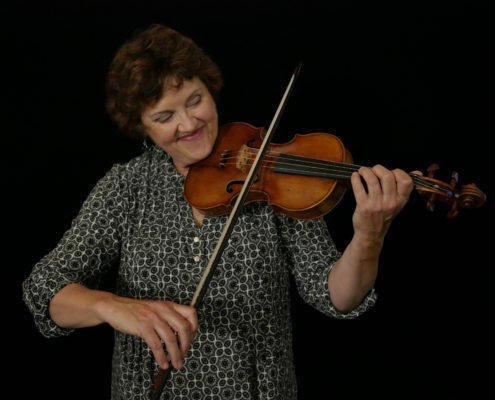 Elizabeth Blumenstock is a long-time concertmaster, leader, and soloist with the San Francisco Bay Area’s Philharmonia Baroque Orchestra and American Bach Soloists, and is concertmaster of the International Handel Festival in Göttingen, Germany. In Southern California, Ms. Blumenstock is Artistic Director of the Corona del Mar Baroque Music Festival. Her love of chamber music involves her in several accomplished and interesting smaller ensembles including Musica Pacifica, Galax Quartet, Ensemble Mirable, Live Oak Baroque, and Voices of Music, and she has appeared at festivals around the world. An enthusiastic instructor, Ms. Blumenstock teaches for the Juilliard Historical Performance program, the San Francisco Conservatory of Music, the American Bach Soloists Festival and Academy, the International Baroque Institute at Longy, and the Valley of the Moon Music Festival. Her discography includes over 100 CDs for such labels as harmonia mundi usa, Dorian/Sono Luminus, Koch, Naxos, Reference Recordings, and Virgin Veritas. She plays a 1660 Andrea Guarneri violin built in Cremona, Italy, on generous loan from the Philharmonia Baroque Period Instrument Trust. In 2012, Beiliang Zhu won the first prize and the Audience Award at the Eighteenth International Bach Competition in Leipzig for cello and baroque cello. She was the first string player presented with this honor on a baroque instrument. 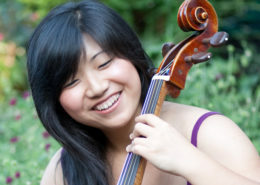 Her playing has been hailed by the New York Times as “particularly exciting,” and by the New Yorker as “elegant and sensual, and stylishly wild.” Beiliang explores a wide range of repertory and fulfills different roles as a modern cellist, baroque cellist, and violist da gamba. She has given solo recitals at the Bach Festival Leipzig, Boston Early Music Festival, the Seoul Bach Festival, the Helicon Foundation, as well as performing with internationally acclaimed artists and ensembles. 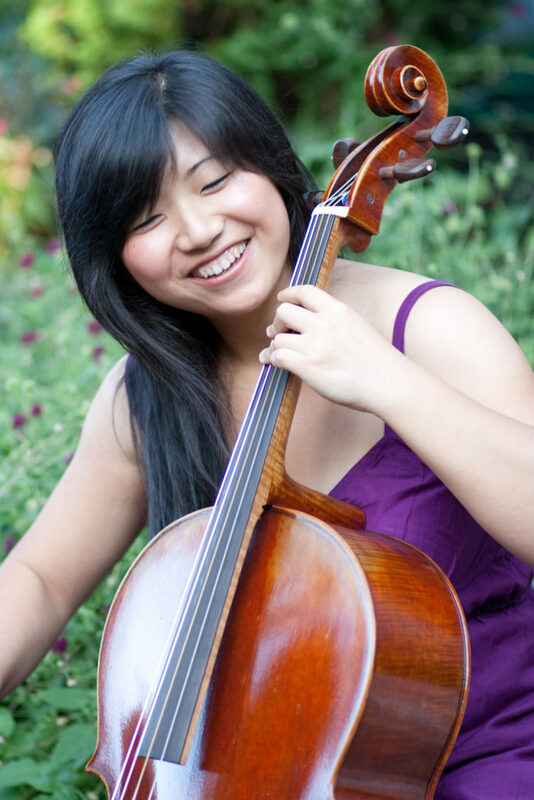 Beiliang received her Master of Music from the Juilliard School in Historical Performance, studying with Phoebe Carrai (baroque violoncello) and Sarah Cunningham (viola da gamba). She received her Bachelor of Music and Performer’s Certificate from the Eastman School of Music. 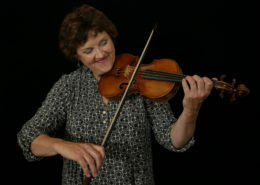 She is currently pursuing a Doctor of Musical Arts in Violoncello under the guidance of Steven Doane, and a Master of Arts in Ethnomusicology, both at the Eastman School of Music. Fascinated by many cultures, Beiliang believes firmly that musical performances are a form of human communication. She invites her listeners to speak to her after concerts. Her website is www.beiliangzhu.com. 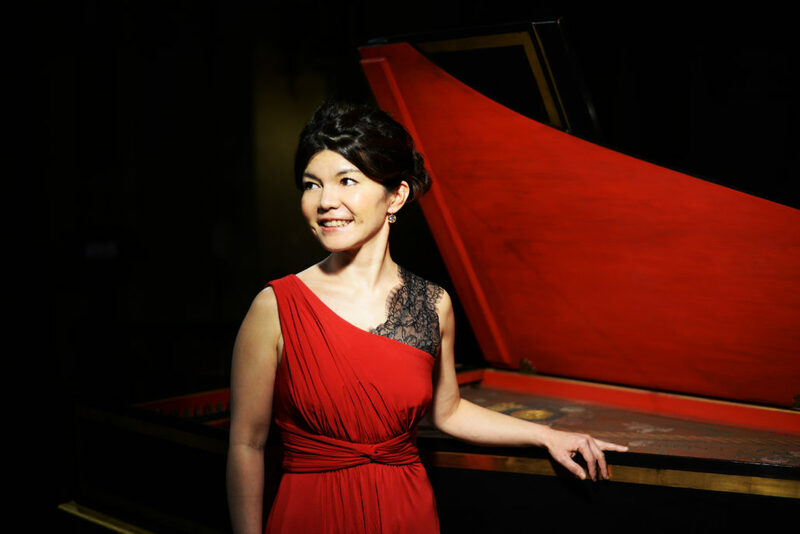 Praised by the New York Times for her “graceful” performance, harpsichordist Aya Hamada is an active recitalist, concerto soloist, and continuo player. She has given numerous recitals in major venues throughout Japan as well as in the US, Canada, Mexico, Argentina, Brazil, Belgium, England, France, Spain, and Italy. She has played recitals at the Peñíscola International Festival of Medieval and Baroque Music and at the International Conference of the Historical Keyboard Society of North America (Montreal). She has made over three dozen appearances as a concerto soloist on four continents and has performed under conductors William Christie, Jordi Savall, Christophe Rousset, Nicholas McGegan, and Masaaki Suzuki. She premiered Virginal by Harold Meltzer with the New Juilliard Ensemble in 2010. Her debut album, Jacques Duphly: Pièces de clavecin, was chosen as Recording of the Month in the Music Web International (July 2015) and the Record Geijutsu Magazine (June 2015). The American Record Guide wrote, “This is a terrific solo debut…. Her control of touch and dramatic delivery are both extraordinary. Her expressiveness is especially noteworthy.” Others have praised her “acrobatic finesse” (Early Music America Magazine), and “sensitive and dramatic interpretations” (Fanfare Magazine). She won first prize in the London Music Festival Competition and second prize in the Josef Hofmann Piano Competition. She earned her Master of Music degree in the inaugural class of Historical Performance from the Juilliard School. She studied under Kenneth Weiss in New York and Skip Sempé in Paris and has received additional coaching from Pierre Hantaï and Christophe Rousset. Her website is www.ayahamada.com.